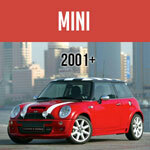 We carry a wide range of bike racks to fit all generations of the MINI Cooper. Our bike racks are top-quality both in looks and functionality. Protecting your bike and your car are both critical, and ease of loading and unloading is important for both the bike and the bike rack (and you, of course!) Questions? Give us a call at 1-800-946-2642 or email us here and we will happily assist you. *Important Note: To ensure you only see racks for your specific MINI model select your car's year & model using the drop down at the top of this page then click here. The Bike Rack for the Mini Cooper is one of the most common accessory for the active Mini Cooper owner. 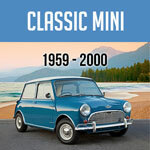 Depending on your preference, budget, and the body style of the MINI, there are many different solutions.